Award-winning comedian and writer Sarah Millican is back with a fresh new show! This show was preceded by her fifth sold-out UK tour. Control Enthusiast marks ten years since Sarah established herself as one of the top new ladies in the British Comedy scene by winning the Best Newcomer Award at the 2008 Edinburgh Fringe. In the following years, Sarah has continued to host three series of hugely successful BBC2 series The Sarah Millican Television Programme, for which she received two BAFTA nominations. She's also become a regular on primetime shows such as QI, Live at the Apollo and The Royal Variety Performance. 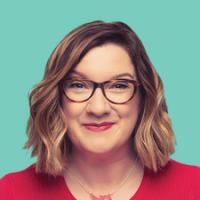 In October 2017 she even brought us her first book, which is part autobiography, part self-help, part confession, part celebration of being a common-or-garden woman and It became The Sunday Times No.1 Bestseller on release and shot back in to the bestseller list when published in paperback in May 2018 proving that Sarah Millican is a woman of many talents. She is also a founder member of Standard Issue, a smart, funny magazine style podcast made for women by women. Don’t miss this opportunity to witness the hilarious and wonderful Sarah Millican LIVE in New Zealand!